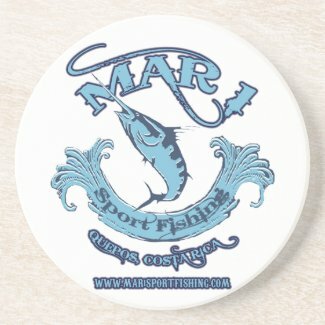 Fishing Coasters from the Classic Design to our Original designs that you will just have to have. We offer a wide range of not only styles but also designs, if you don't see exactly what you are looking for contact us and we will make it up for you. 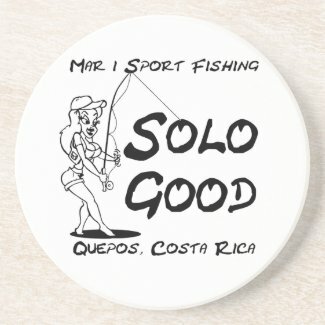 Mar 1 Sport fishing Don't be the nagging host who follows guests around surreptitiously slipping coasters under their glasses. Ease your burden and add a personalized touch to your next party with fully customizable coasters. Balancing between reusable and disposable, these coasters perfectly transition from cocktail hours to receptions. Stock up today and never see a water ring again! 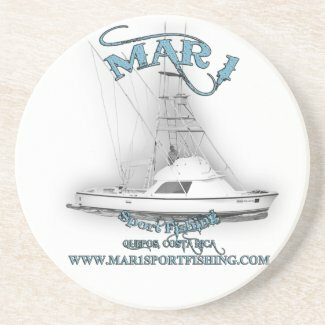 Mar 1 Sport Fishing Decorate your home with custom drink coasters! Simple, yet substantial, these coasters will look great in any room in your house. Made to keep your tables scratch-free, our custom sandstone coasters have a cork backing, so you can use them on any surface. These coasters have a matte finish and work best with vintage illustrations, black-and-white photos and personal text messages. Mar 1 Sport fishing It's five o'clock somewhere. Stir up a little magic and serve your drinks on stylish stone coasters. Your design, monogram, or text will look stunning against the stone backdrop of your choice. The cork backing will keep surfaces scratch-free from your chosen stone backdrop of Sandstone, Marble, Limestone, or Travertine. Tip: a custom coaster makes a great housewarming or hostess gift.